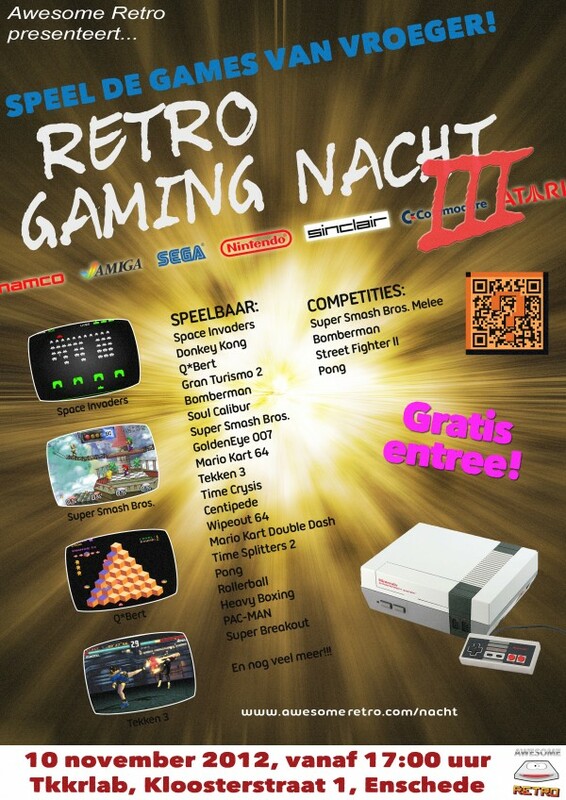 It’s been busy, that means good news, new donations and best of all: the announcement of the Retro Gaming Nacht III. This edition promises to be the best edition yet. It features over 40 consoles, tons of games and the usual great atmosphere. We’re working on a new competition and you can also learn how to make games for the Amiga. And of course there are competitions, achievements, videos and cool stuff demonstrated by TkkrLab. Enough talk: if you want to join, fill out the signup form here.